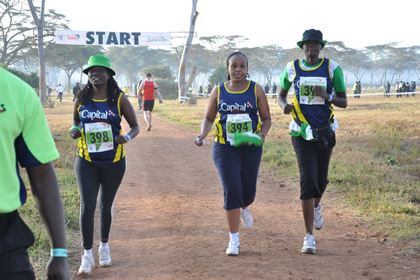 The 14th edition of the Lewa Safaricom marathon took place last week, 29th of June attracting a myriad of participants. 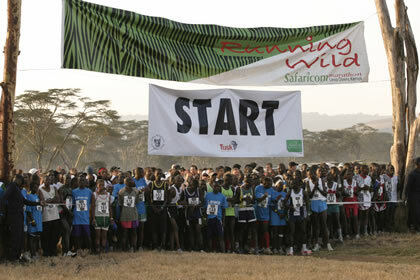 Through the partnership of Safaricom Ltd, Tusk Trust and the Lewa Wildlife Conservancy, the world-renown marathon event which began in the year 2000 has grown from 180 runners in 2000 raising $50,000 to 1000 runners in 2012 raising $574,000. Regarded as one of the toughest marathons in the world, the annual Lewa marathon was this year host to 1000 runners from over 20 different countries. Participants are comprised of those who are just in it for fun, walkers as well as professional athletes. 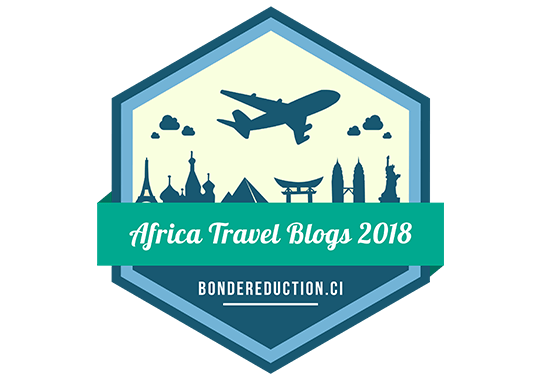 The event is a blend of both fun and social responsibility giving the runners a chance to enjoy some of Africa’s most breath-taking scenery as well as giving back to society at one go. 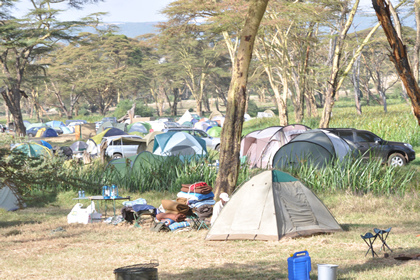 The Lewa marathon features a half (21km) and full (42km) marathon; half marathon being a team event featuring a minimum of five and a maximum of ten runners per team whereas the full marathon is an individual event. 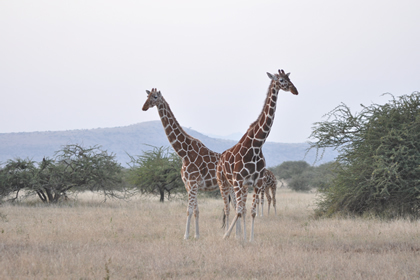 The course is set on dirt roads that take the runners through the reserve, across savannah plains, along river banks and through acacia woodland before finishing close to Lewa’s headquarters. Half Marathon runners complete one loop of the course, Full Marathon runners, two. The route is watched over by a large and experienced team of armed rangers, with two helicopters and a spotter plane in the air throughout the race. 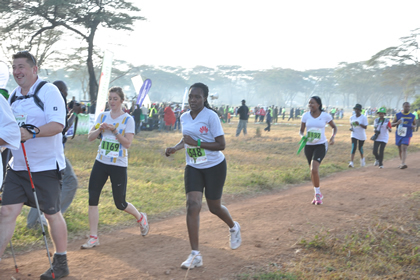 Water stations and first aid points are situated every 2.5km along the course. 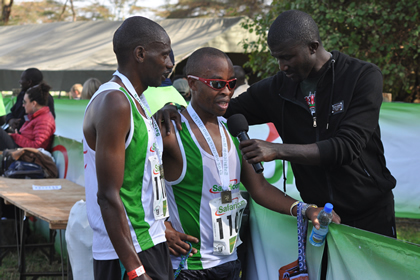 Medical support at the finish is provided by AMREF – the flying doctors, the Kenya Red Cross and local hospitals. On completion of the race each runner is presented with a medal and goody bag. 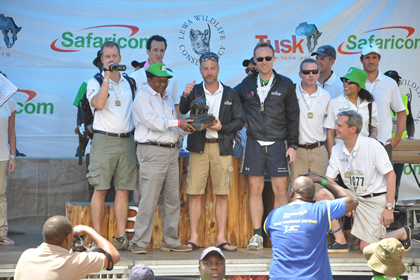 Prizes for race and age group category are awarded at a prize giving ceremony at the end of the event. Since its inception the event has raised over $3.8 million. The event is organized annually by Tusk Trust as their flagship fundraising initiative to support pre-defined conservation, education and community projects supported by Tusk in Kenya. 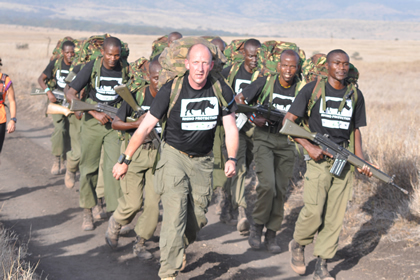 This year’s event, held under the banner “Run Wild, for the Wild” aimed at raising Sh60m, most of which will go towards conservation efforts against a backdrop of increased poaching. Last year, education and healthcare projects got Sh5.46m and Sh3.78m respectively whereas a further 35% of the revenue was invested in the Lewa Wildlife Conservancy which is home to a variety of large African wildlife including lions, elephants, rhinoceros, the Cape buffalo amongst others. 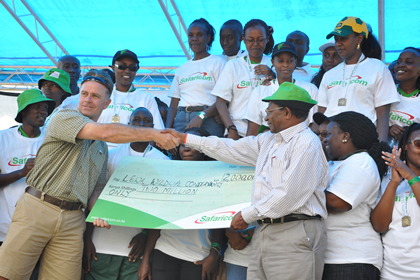 Safaricom has been the marathon’s Title Sponsor since its inception in 2000 over which time the amount of sponsorship has risen to the current level of Ksh 9.6m. Additional co-sponsorship arrangements roughly double the overall sponsorship secured by the event. 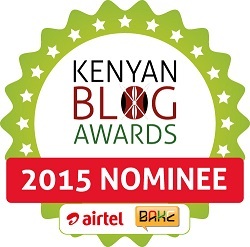 A unique aspect of the event has been its ability to bring together the business community in Kenya. Many companies use the event as a team building opportunity, which engenders a real sense of camaraderie amongst staff, as well as a healthy dose of inter-company rivalry! As an example the following Kenyan based companies kindly provided valuable co-sponsorship towards the event in 2012: Andy Forwarders, Braeburn Schools, British Airways, Broadband Communication Networks Limited, Cisco Systems, DHL, Ericsson, Forward Mobiles, G4S, GlaxoSmithKline, Highlands Water, Huawei Technologies, The Kenyan Section of the International Commission of Jurists, Kenya ICT Board, Land Rover, Nokia Siemens, Pesa Point, Radio Africa, RedSky, Safarilink, Samsung Electronics, Sea Submarine Communications, Standard Chartered Bank. 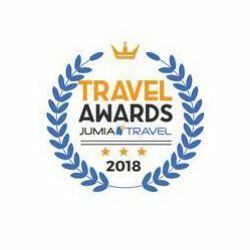 In addition, the event has attracted teams from major international companies who have sent teams out to Kenya from the UK and US (including Black Rock, Deutsche Bank, Elephant.co.uk, Investec, and Artemis Investment Management). These overseas teams have raised a substantial proportion of the funds for the good causes. 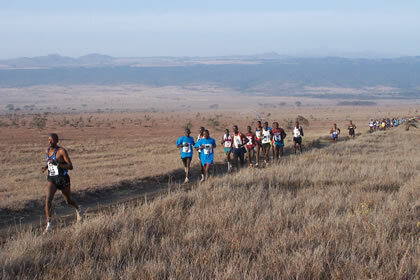 Lewa Marathon, One of the 10 “must do” marathons in the world.